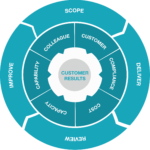 In order to deliver sustained and measurable results, our Delivery Model which comprises of Programme Governance, Leadership, Systems and Improvement, balances the essential elements required to achieve sustainable results. Simultaneously working with leaders, identifying improvement goals, equipping teams with problem solving skills, all within a robust programme governance, enable both organisations and individuals to maximise their potential. 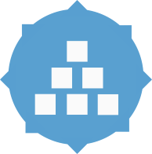 Programme Governance provides a framework for high level resource and programme management, it ensures resources are used at their optimum, balancing the elements of ‘Together, the power to improve’. It also provides a framework for the delivery of a range of both enabling and tangible benefits, and for high level resource and programme management. It also provides a visualisation of progress and a forum for discussion. What does each section of the Programme Governance framework do? 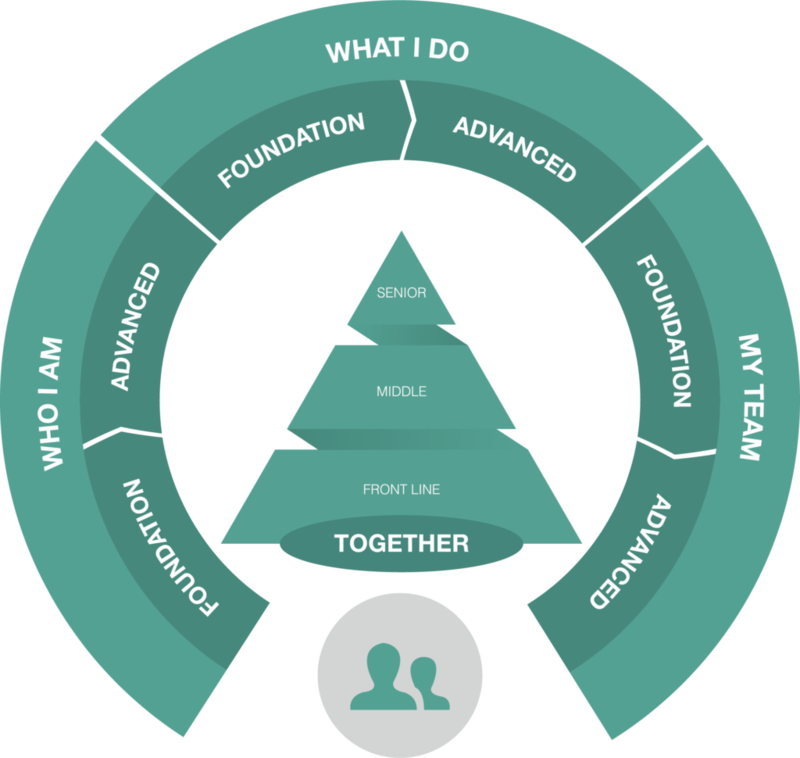 It identifies the purpose of the programme, and how people will work together to deliver it. It quantifies the benefits of the programme and how data will be gathered to monitor progress. It creates the programme governance structure to ensure appropriate resources are available to deliver the benefits. 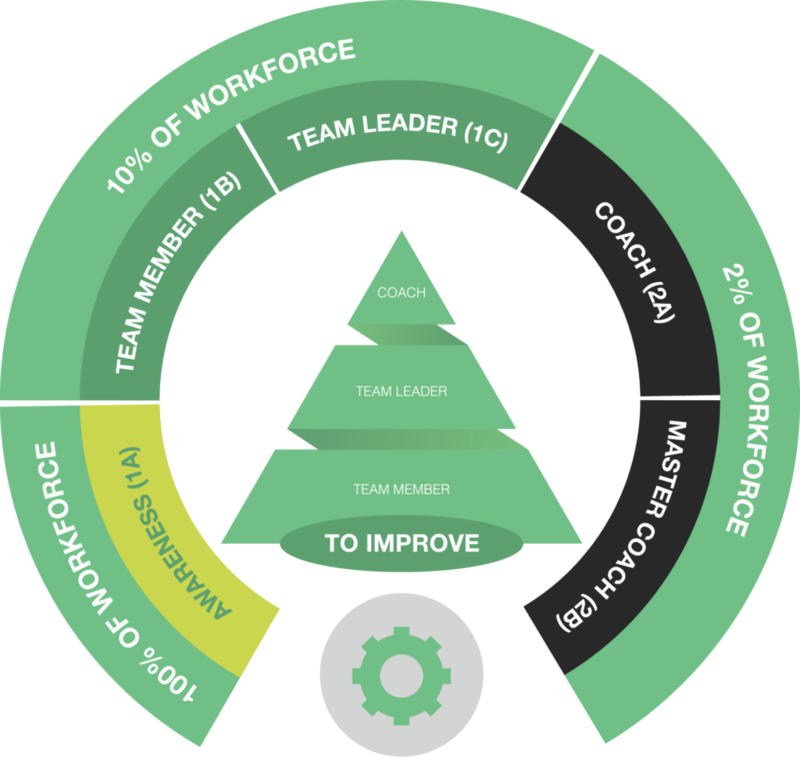 It is essential we balance the programme, developing system features that lead continuous improvement and coaches to deliver benefits with work teams. To that end it’s important we have the right mix of skills throughout the organisation, if not there is an imbalance in the programme which prevents CI from being implemented successfully and sustainably. Great training but nowhere to practice the skills. Great deployment and leadership training, but no-one knows how to improve findings. We left the middle managers out of the process. The chosen few do everything, the front line are not engaged. Leaders are not engaged in the process. 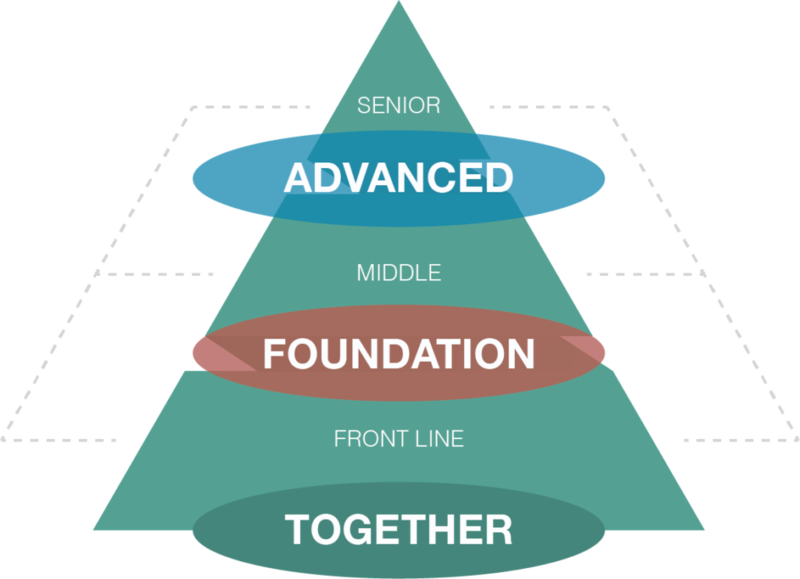 The Leadership section of the implementation framework develops the necessary behavious for leaders at front line, middle and senior levels to engage people in their improvement journey. We call this our Leadership Development Programme. It provides awareness for leaders about the most effective behaviours to exhibit at each management level in the business. Our leadership programmes provide an accredited development approach for leaders which is aligned to the Lean Competency System (LCS). 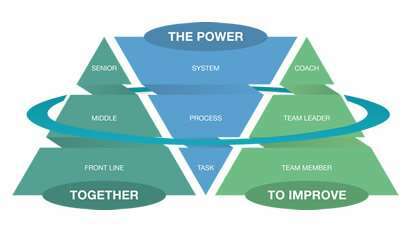 The Power element of the Together, the Power to Improve model contains the core elements of what needs to be done, and is an outline of how the business can successfully implement such a system. 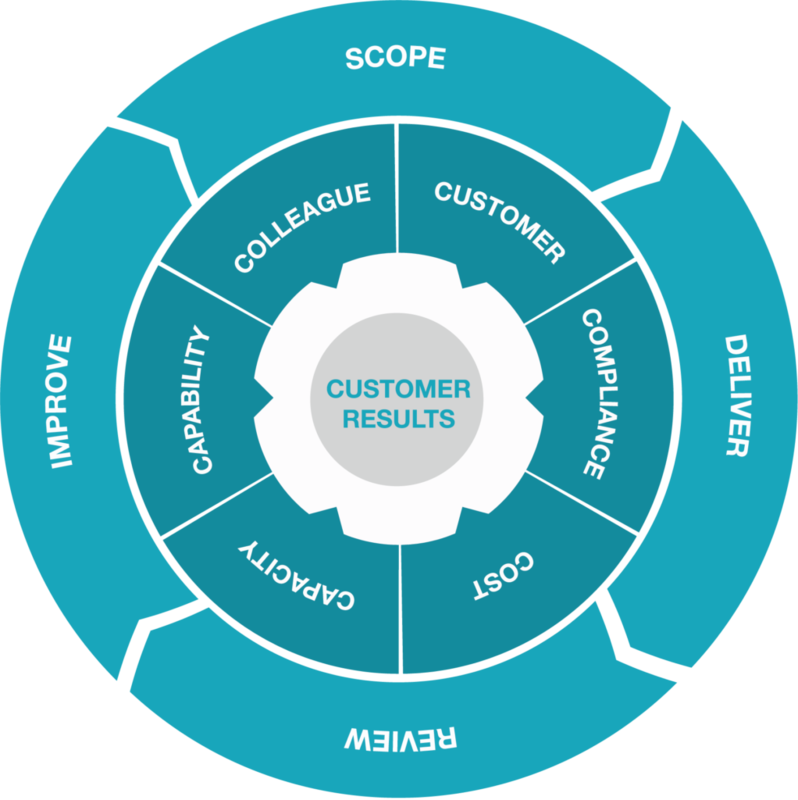 Every business strives to continuously improve, creating value for its customers and Stakeholders. To do this businesses invest in talented people through their recruitment and people development processes. 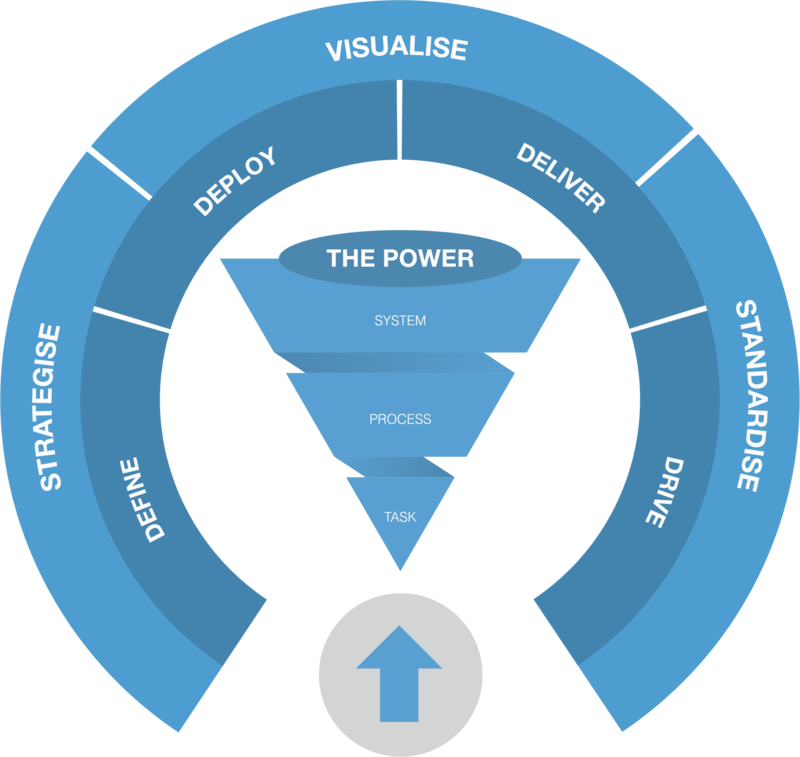 However, those people need systematic and standard ways of working so that everyone in the organisation is clear on what they need to do, when they need to do it, and how it contributes to deliver the goals and targets of the strategy. To provide the necessary improvement skills in the organisation that enable individuals and teams to improve their work and create your own in-house, sustainable improvement capability. 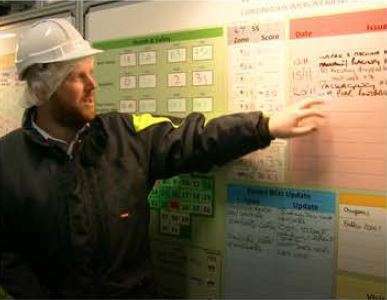 Our training programme provides a structured learning journey that takes individuals from awareness to master coach using the Lean Competency System, and creates the in-house capability that enables system, process and task led improvement. 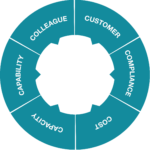 Our training framework provides the platform for vocational based learning and benefits localisation, throughout the organisation that delivers tangible results for the organisation.